I have 3 computers. My laptop a Thinkpad X30, another Thinkpad which acts as server and a desktop computer. I have all my main data on my server and use the files on my laptop and desktop by sshfs and NFS. The only files I don’t store on my server is media files, such as movies and music – these are stored on my desktop. This was the problem – if I was out I couldn’t access my files since my desktop was turned off when I am not home. I need something to turn on my desktop when I wasn’t home. 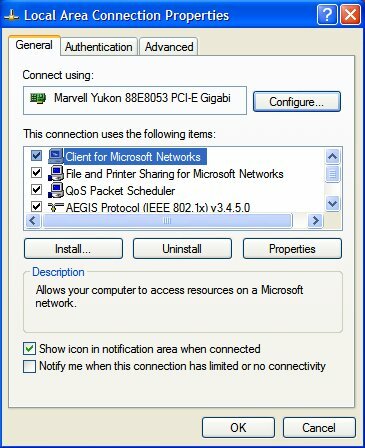 Wake on Lan (WOL) is a technology to turn on a computer by sending it a specific network package. 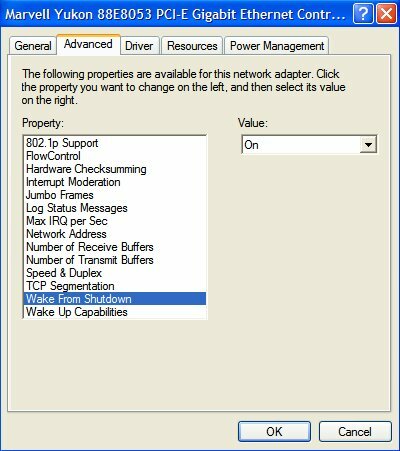 When a WOL-enabled computer is turned off the network port will stay active and listen for a certain packages and in if it receives such a package it will boot the computer. Enable WOL on my Desktop. Installing a program to send the magical network package on my server. Somewhere in the BIOS there will hopefully be some setting to enable WOL. I didn’t find it in the BIOS of my ASUS PW5 DH motherboard, but it works fine. A good indicator is to check whether the lights around the network cable is turned on or not on the back of the computer when the computer has been shutdown. Now WOL is enabled under Linux as well. In the bottom of the wikipediaentry on WOL there is a long list of other programs to send the magical network package but I haven’t tried any of these my self. That is what i was missing! Thanks so much. It worked great on my machine with Asus P5E motherboard. Using the etc/ethers file allows the use of names rather than the mac address for the wol command. 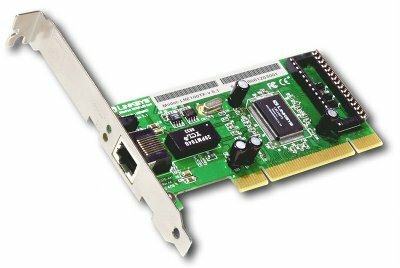 I’m looking for what you might call wake on wan. How would you do that in a similar setup but with a wireless connection? Hmm – It all depends on whether or not your hardware supports WOL. I haven’t heard about it my self before, but apparently netgear makes some adapters which supports WOL. Sorry – but I can’t provied much more help than that. Britney Spears, if you have the time change the firmware of you your router to DD-WRT or OpenWRT then create VPN. Log into the VPN and then you can run that command. You might even be able to log into the router threw ssh and run that command with the VPN setup. I would try this first. When i type in that command, i get “No ushc file or directory… Im totally new to linux and only type what im told, so if that “ect” stands for something that i have to put in myself, then please help me to find out what i should put it. So now that /etc is established, /etc/init.d/ contain all the control scripts for most of the daemons you on the machine. Putting wol.sh here seems reasonable. The comand “chmod” changes permissions for files and folders. “chmod +x” adds executable permissions to the argument and in my case I used this to make the script wol.sh executable. Are you sure you shell said “ushc”? I think you might have made a type in the filename or on the command you wrote in console? Try especially the following document called “Using the Command Line” which will certainly get you started. Happy reading and welcome to the world Linux – you will not regret it. Sorry that i didnt spell correctly. I think i know what the problem is. You wrote that you “make a script in /etc/init.d/ called wol.sh. I don’t know how to make that script… im not sitting with a GUI linux, like ubuntu. Im sitting with a OS called OpenFiler, and it ONLY has a commando prompt, or terminal. Is there anyway to make that script, then add the lines of the script, from the terminal? Update to my privious post. I have now managed to craete a script file, also to write in it, save it, give it permission, so completely forget about my privious post, and read this post instead :). I’m not certain, but I think it might be because I use OpenFiler. Anyone who could give any help on other “start on start-up” commands? The difference is the programs “update-rc.d” and “chkconfig” used to set which programs should be run at startup. list, add, del, override, level. I thought it’s only form standby !!! Besho – I don’t really understand what you are writing. 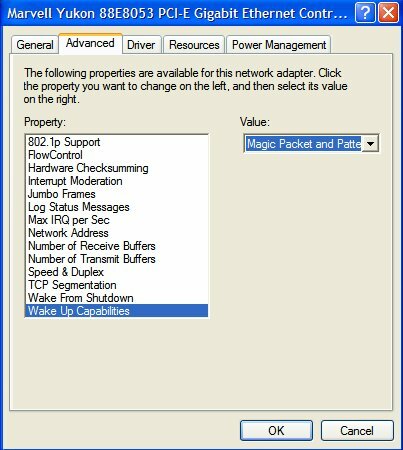 But Wake On Lan is a method to wake make a computer boot that is completely shutoff beside that the network card – which listens for a magic packet (WOL). But I’ve followed all steps ( on your site and on different sites), but it only wakes my PC if it was on standby, If I shut it down, then the magic packet doesn’t switch it on !!! Worked a treat on my Linux box, now I don’t have to go downstairs to turn it on! Thanks, this worked great on my ubuntu and LMDE boxes. The tip about adding the ethers file helped as well. OK, I have this working and can wake up my DIY Ubuntu Server from any PC on the LAN by sending the magic packet. That part’s the great. It’s nice to impress friends with “You watching? I’m gonna start that PC over there from here”. However, in this “it’s good to be green age”, the idea is if no one is accessing the server it should suspend itself after a reasonable time. Just like my QNAP NAS does. It seems all rather self defeating, unless there is a work around.? I don’t think there is a work around to what you are describing. If it suspends you will need to wake it up. On my own server, see Building a powerful, cheap and silent Linux NAS and HTPC server I have it running all the time, but the raided disks spin down after 30 minutes of no activity.